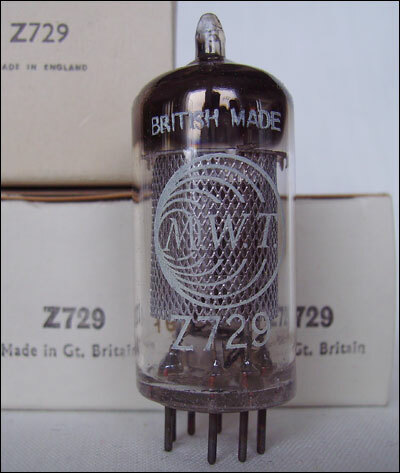 Tube shown is an M.W.T (Marconi Wireless Telegraphy Co.) labelled Z729 made by Mullard and has datecode 9r1/B9F, made in Blackburn, june 1959. Square getter and large mesh shield. 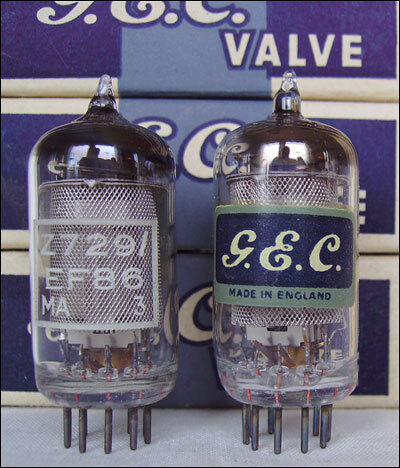 The other two in boxes are coded 9r2/B2B4, made in Blackburn feb. 1962. Round getter and short mesh shield. 3 in stock. ever produced. Warm sound with good texture and detail. With square getter and fine textured mesh shield. 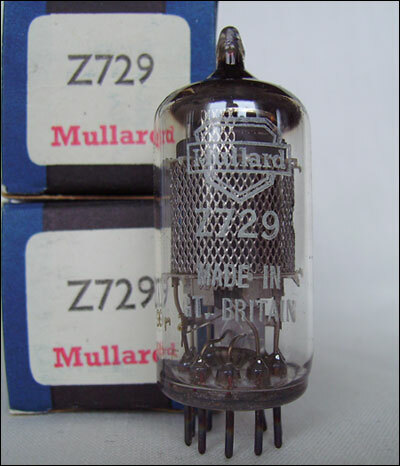 Also in stock are two GEC Z729 labelled Osram, one from dec. 1953, the other from march 1955. 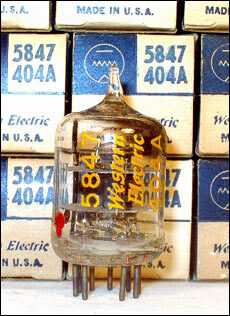 Western Electric 5847/404A. Square getter, black plates in original boxes. 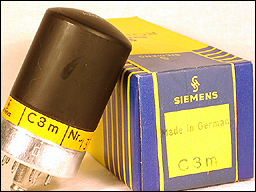 Manufactured in january 1953. Available in matched pairs. German post tube, special quality, 10000 hour tube. 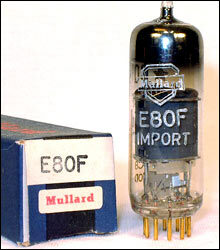 Excellent preamp and headphoneamplifier tube when triod connected. 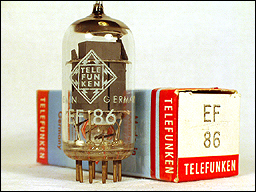 Perfect tube in a headphoneamplifier for Sennheiser HD 600/ HD 650. 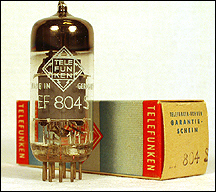 • Amplification factor 40 triode connected. 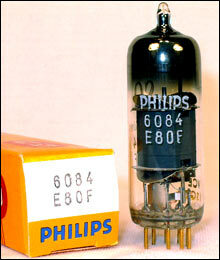 • Very low noise and low microphonics. • Very high build quality. German post tube, special quality, 10000 hour tube. 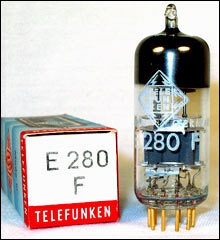 Triode connected maybe the best driver tube for 300B with enough swing capability to drive the 300B. 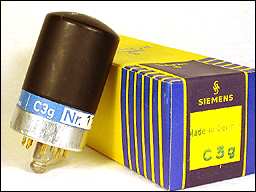 Widely used in telecommunication equipment during the 50´s. 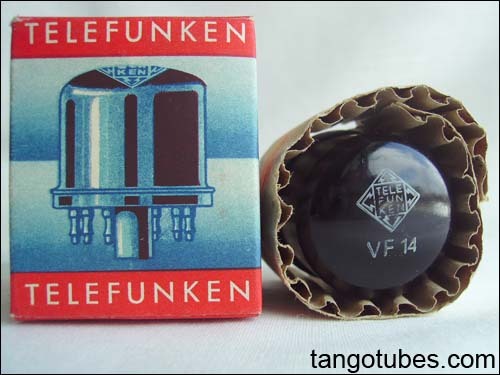 Excellent sound from this german quality tube.